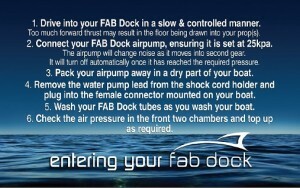 It’s time to ditch the antifouling and discover the non-toxic, low maintenance FAB Dock solution. 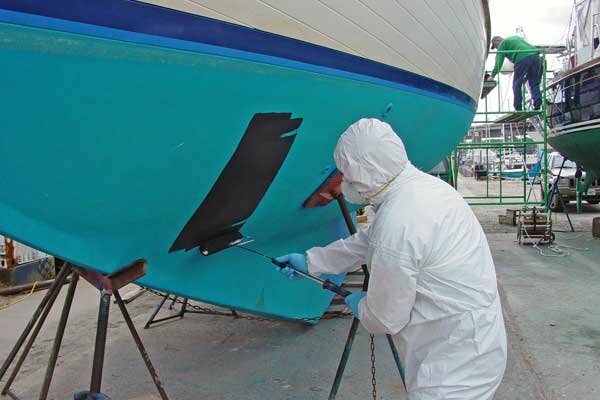 Antifoul is also known as bottom paint or antifouling bottom paint. Boaties use it to keep the nasties away – slime, weed, barnacles and other creatures that love to grow under your boat and slow it down or eat it away. The way it works is by using a biocide, which means ‘life-destroying’. Nowadays these biocides are usually derived from copper or cuprous oxide, and they’re found in approximately 95% of bottom paints. There are two main types of bottom paints, ablative and hard bottom. Ablative paints erode over time, so they are known as self-polishing, soft or eroding paint. Water flow will wear the paint away over time, causing the biocide to leach out. The faster your boat speed, the faster the bottom paint erodes and the more often you must reapply it. Hard bottom, or non-sloughing, paints usually consist of a tough epoxy coating. With these products, the paint doesn’t wear away butthe biocide does. This means that you’ll end up with no biocide and you’ll have to recoat your hull or strip it and start again. Most recreational vessels use ablative paint, but the choice doesn’t end there. There isn’t a one-size fits all antifouling system because performance depends on multiple factors such as boat type, speed, water and weather. There is another choice though – don’t use it at all. Here are five reasons why that’s the best choice you can make. Most people use boats because they love oceans, lakes and rivers. They don’t set out to poison the places they love. But that word ‘biocide’ is the clue. The copper in your paint has a purpose – to stop living creatures from making a home on your boat. That means it can kill or injure them in the wider environment too. Most bottom paints contain copper and all of it eventually leaches into the water. This happens at an estimated rate of two pounds of copper per year per 30-foot boat. Now imagine a marina with hundreds, or thousands, of boats moored in it and you can see the problem. Antifouling is nasty stuff. It’s not only poisonous to marine creatures, but to humans. This is being recognised in Britain and Europe with their new Biocidal Product Regulation. This regulation will require the active ingredients in bottom paint to go through a re authorization process. There is also talk that environmental health legislation will restrict antifouling paint use to professionals. In the meantime, you’re advised to keep these chemicals away from your skin and eyes, not to eat or drink around them and not to breathe or swallow them. You must also be very careful when disposing of waste products, cleaning gear and so on. Some boat yards are responding to these health risks by no longer allowing boat owners to do DIY antifouling. It’s a case of ‘leave it to the professionals’ so the marinas can be confident that standards are being followed. There’s some debate about this but the consensus is, yes, bottom paint can slow your boat down. If your hull has a nice slick paint job then you may not notice much effect. But if you’ve been adding a couple of coats of ablative paint every year, and the boat hasn’t had a lot of use, the layers will build up. Plus, ablative bottom paint is designed to lose its protective properties over time. You may find slime starting to grow, or the paint job could get a bit rough. You’ll end up with drag andyour boat will slow down and use more fuel. It’s the same old story – maintenance is a drag on your time and your finances. If you have bottom paint on your boat then you’ll need to take care of it. You’ll be locked into a cycle of application, cleaning and re-application. You’ll have to take care to use the correct paint on top of an old layer. If you’re scraping that one off, you’ll need to look after the barrier coating beneath it. It’s not a once-every-five-years job either. Many boat owners replace their antifouling annually. There’s another cost too. More and more boatyards are banning owners from doing their own DIY job because they want to control risk factors and insurance. That means more expense for you. The boating population is growing worldwide and with it the environmental impacts. The US Environmental Protection Agency wants to limit the paints used on recreational vessels. The State of California already has. Washington State was due to ban copper in bottom paints in 2018. The ban has been delayed, but only because the alternatives were found to be toxic as well. More research is being done on the alternatives but restrictions on copper leach rates are under consideration. European Union authorities are also concerned and Sweden and the Netherlands have partial bans. So what’s a concerned boat owner to do? Keep painting poison on your boat? Keep spending money on bottom paint and maintenance? Just wait until it’s banned and figure it out then? You don’t have to do any of those things. A FAB Dock will keep water away from your boat. Our patented sensor, the FAB Dock IQ, monitors your FAB Dock for water. If water is present, it will pump it out. Your boat will be dry and all those living organisms won’t have a chance to get a grip on your hull. That leaves you with five reasons to use a FAB Dock – it’s healthier for the environmentandit’s healthier for you. You’ll get better boat speed. There’ll be no more hauling the boat out for antifouling treatments. And you’re all set if (or when) a ban comes in. 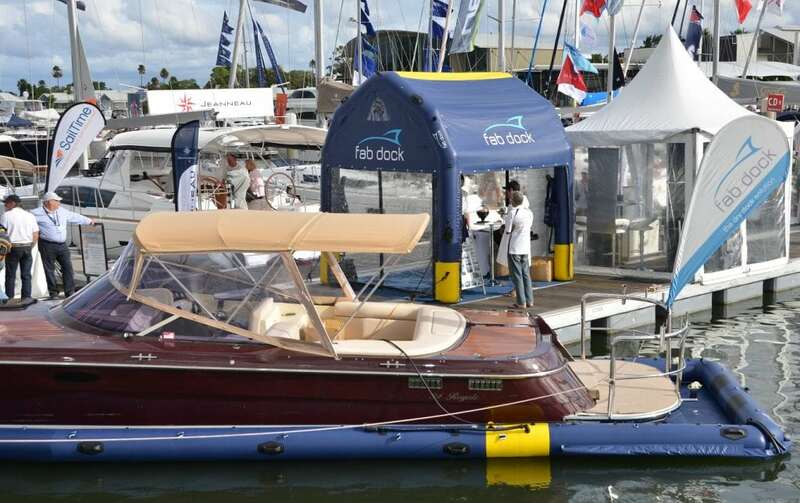 Get in touch with us to find out how FAB Dock can help you save on antifouling and bottom paint…. For decades, the battery of choice for all marine vessels has been the lead acid type. This will eventually change to other types such as lithium ion as technology drives the price down. However, for the foreseeable future, boat owners will be stuck with the downsides of the tried and true lead acid type. They are heavy and discharge (go flat) even if nothing is connected to them, but at this point in time, they are the most economical type available. It just means that we have to take care of them to get the most out of them and make sure they have enough power in them when we need it, i.e. to start our engines when we want to come home. 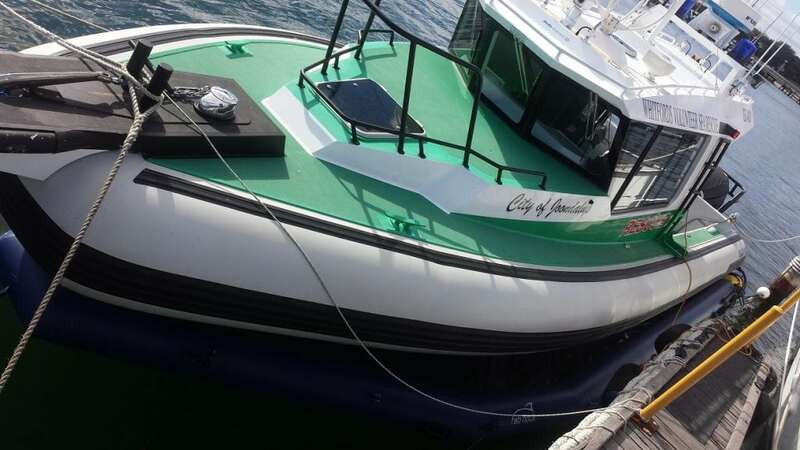 For this exercise, we will only be talking about boats running 12 volt batteries and 12 volt appliances, even though 6 volt and 24 volt systems have many of the same characteristics. A fully charged battery, not connected to anything, will read 12.8 volts. A battery at half charge will read 12.2 volts and a dangerously low battery will read 11.8 volts. There isn’t much room for error, so keeping your boat batteries charged is of paramount importance. A lot of boat owners make the mistake of treating their boat batteries like their car batteries, as in they don’t worry about them at all. Your car batteries are housed in a nice warm, dry engine bay and they get charged every time you drive your car, usually daily. Your poor boat batteries on the other hand are sitting in a damp, moist environment and may sit there for weeks without being charged by your engines. A lead acid battery naturally discharges over time and this is only accelerated by the damp, cool environment of a boat. And a battery left in a discharged state has a higher chance of receiving permanent damage, or at the very least, shortening its lifespan. Just because a battery has no moving parts, doesn’t mean that it cannot be damaged and fail. Individual cells within a battery can collapse and fail, rendering the entire battery useless. Therefore, some form of charging system is mandatory on every boat. But again, it isn’t a simple matter of buying the cheapest, smallest charger or solar panel that you can find from your local auto shop or camping store. It won’t make it through the first season. Like everything else that has to live on your boat, especially if it lives anywhere near salt water, it has to be designed to handle the rigours of the salt water environment. There are some great brands that understand this and make their product accordingly. In the old days, a ten amp battery charger just shoved ten amps into your battery whether it needed it or not. So if you left it plugged in, you could run the risk of ‘cooking’ your battery. That has all changed with the advent of staged battery chargers. Seven stages became the norm and I have now seen nine stage battery chargers. These staged battery chargers are designed to be left attached 24/7 and cycle through a series of stages that actually condition your battery and prolong the life of your battery. This means that they will pay for themselves the next time you don’t have to replace your batteries. Trickle chargers are great for motorcycle or jetski batteries, but an average size boat battery requires some extra grunt. Opinions vary but I wouldn’t waste my time with anything less than a 20 amp charger. I recommend 25 amps to all my clients and have a 40 amp charger on my own boat. If you have multiple batteries for different purposes like engine start and house duties, a Voltage Sensor Regulator (VSR) will spread the charge around the various batteries as each battery becomes fully charged. Solar panels are a completely different discussion as their progress has been steadily improving as to their efficiency and the new semi-flexible panels make installation on boats even more attractive. I will save that for another blog. And lastly, keep your batteries clean, particularly the terminals. There are plenty of chemicals and sprays to stop your terminals and any connections mounted to them free of corrosion, rust and that nasty green stuff. This will keep a good flow of electricity to those things on your boat that need it and will make it easy to remove your batteries or add more appliances should the need arise. Hopefully all this helps and makes your boating life easier and more enjoyable. FAB Dock is honoured to be named as a 2018 winner of the Westpac 200 Businesses of Tomorrow program, recognised for the development of our patented dry docking technology and our contribution to marine conservation. 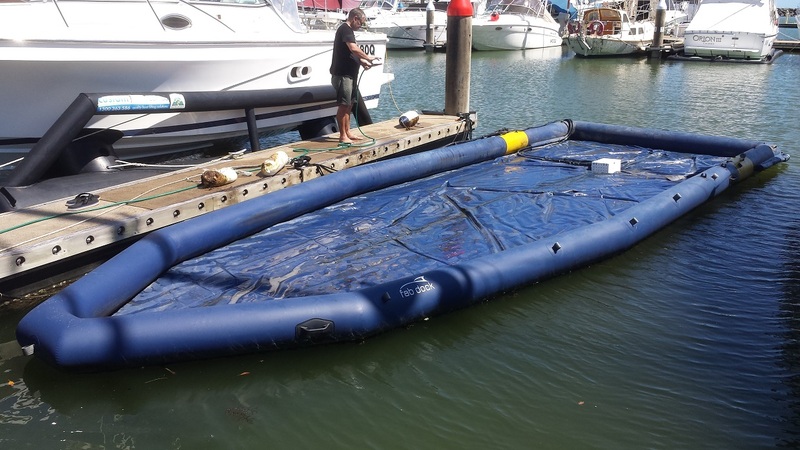 We are on a mission is to minimise the cost and environmental pollution caused by toxic anti-fouls and to reduce the maintenance cost of boat ownership. 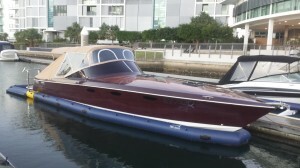 There are many millions of recreational boat owners worldwide and their number is increasing. The impact of all this activity is cumulative and it risks damaging the very thing that everyone is out there to enjoy – a beautiful, healthy marine environment. Businesses of Tomorrow is a program designed to reward and recognise businesses with the “drive to shape Australia’s future” and acknowledged for their vision and drive to help shape the nations economic future. Businesses were assessed by independent experts from Deloitte along with Westpac representatives on their ability to not only demonstrate their vision but to be seen to have a greater potential to help tomorrows customers, economy and society. 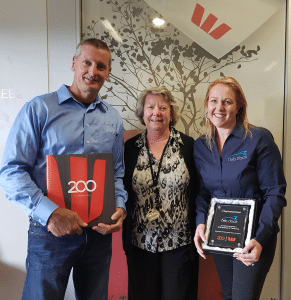 David Lindberg, Chief Executive, Westpac Business Bank, said: “Truly remarkable things happen when businesses come together; and we know that networking and collaboration are among the top drivers of business success. “Bringing together 200 businesses that all have the potential to shape our nation’s future presents an opportunity for the Australian business community. FAB Dock Managing Director Dean Howard said “We are very proud of what we have been able to achieve over the past 9 years and recognition such as this award takes us one step closer to achieving our goal of ridding the worlds oceans of toxic poison commonly used in the marine industry. As we expand our dry docking system world-wide and in particular, into the US market, we have every opportunity not only meet, but exceed our goals”. Owning a boat like the beautiful Cabriolet Royale you want to make sure that your boat is fully covered. That you are not only protecting the hull but also protecting the gorgeous trimmings and finishes of the boat. 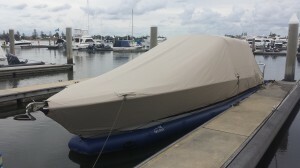 Having both the FAB Dock and boat cover you are giving your boat 360 degree coverage from the weather and marine growth. It is just as important to maintain a clean top half as it is to keep your hull dry and protected. The benefits of keeping your hull dry doesn’t just stop at no more anti fouling it also helps reduces your fuel expenses, is better for the environment and also increases your resale value of your boat. If you are like us and love your boat, if it’s your pride possession then make sure you have it covered both bottom and top! After recently visiting the gorgeous shores of Port Coogee, we wanted to share a story on how a FAB Dock protected a beautiful Cobalt R5 boat. 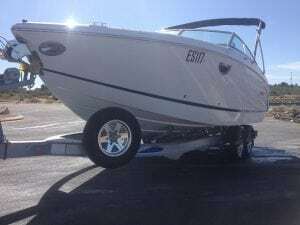 The owner of this boat had only been able to take his stunning Cobalt out twice in the last 16 months but thank fully due to being protected by our world class FAB Dock the hull came out looking like new. The photo shows what the hull looks like after 16 months of being in a FAB Dock with minimal use. No matter how often you use your boat the FAB Dock will protect your prized possession all year round. We have to take this opportunity to say we had a fantastic time in Western Australia, we got to see many of our valued FAB Dock clients and had the chance to meet new faces at the Hillaries Boat Show. We will be back soon! 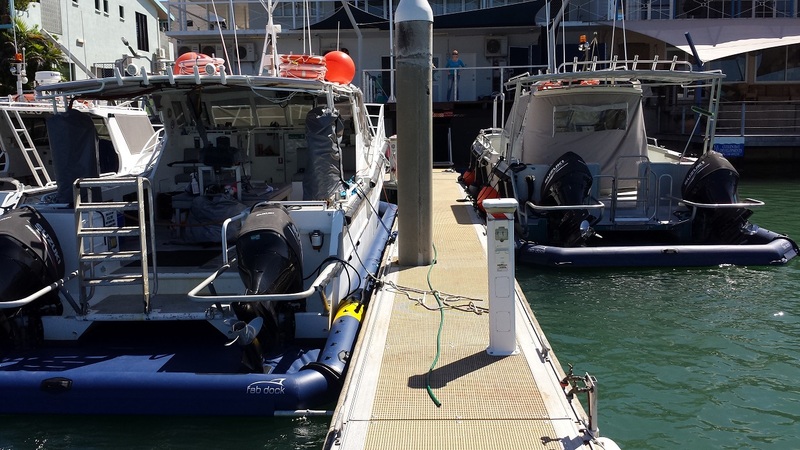 We have installed our first FAB Dock under a sea rescue vessel in the West Australian port of Hillarys. After exploring all the different options, the committee decided that our latest dry docking solution would be the best method for keeping their eleven metre Naiad clean and performing at its optimal best for its critical rescue missions. This joins a growing number of FAB Docks that can now be seen throughout the marina with even more to be installed in the next couple of weeks. I would like to take this opportunity to thank all our customers in Western Australia for making FAB Dock the most popular dry docking system in the state. One of the most astute business owners I have ever met are Rick and Sue from TEK Diving Services in Darwin. They run one of the most professional commercial diving operations to be found anywhere in the world. Not only do they run a dedicated team of quality divers, but they also manage to run around Darwin every morning before their work day begins, and that is no mean feat in the Darwin summer. other dry docking options, including a FAB Dock, Rick and Sue decided that FAB Dock is the best solution and ordered second one for their biggest boat (Sue’s boat). I am looking forward to getting up to Darwin again soon, particularly during the winter season, but in the meantime, if you, or anyone you know, needs any underwater work or salvage operations performed in Darwin, make sure you give TEK Diving a call.